In the early morning light, the sun breaks thru the clouds and lights the woodlands, revealing a haze of bud break on the maples and hickories. 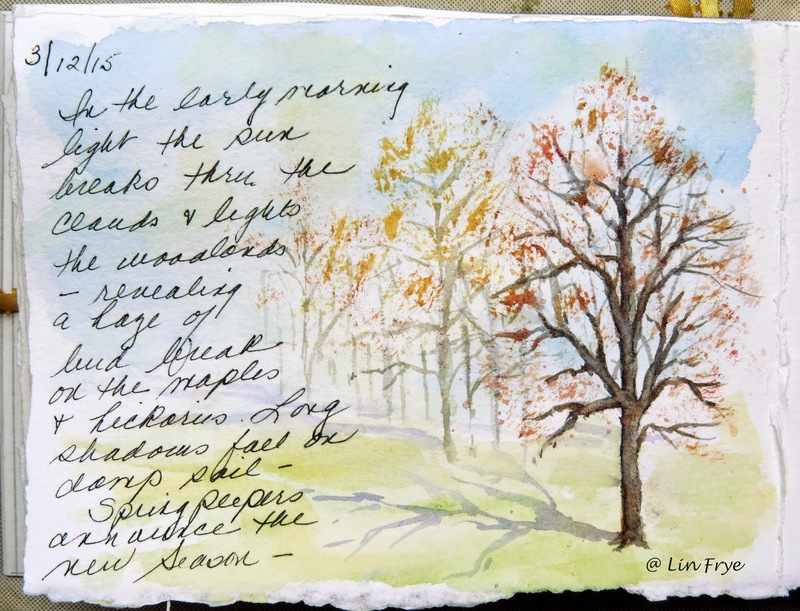 Long shadows fall on damp soil... spring peepers announce the new Season. Your words are as beautiful as your sketch.